So its time to reveal our next gig. 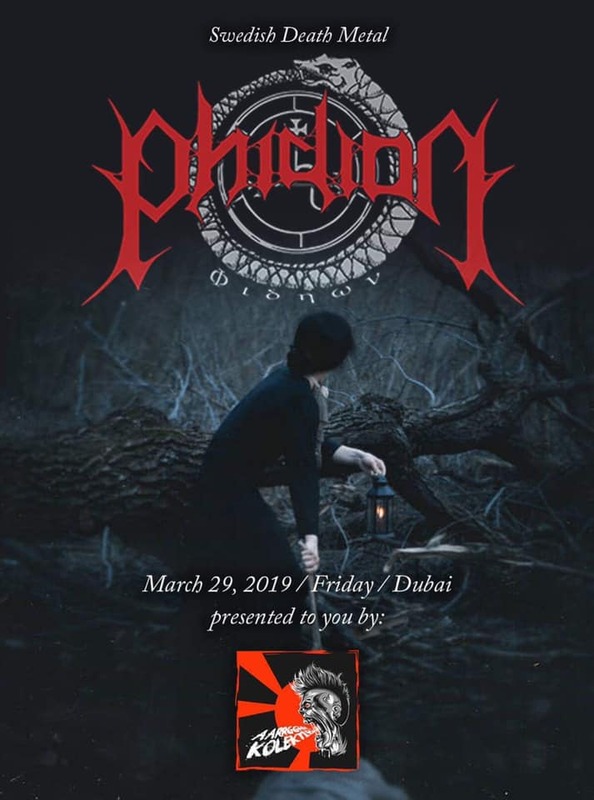 In the end of march Phidion is set to spread some Death Metal madness in Dubai, the United Arab Emirates. Todays gig was full of surprises. New songs, new friends and two extra people on stage during Warzone. Stefan Nordström of Desolator joined on on vocals and Fredrik Pihlström played guitar on that and a couple of more songs. One of them joined the band. Welcome to our old bass player, now our new guitarist Fredrik Pihlström! Starting of the next year with a gig on the 5th of January at a familiar venue together with Toxic Crypt and Putrid Vision. We also have a couple of nice surprises, such as t-shirts, beanies, patches and more! The merch section is also updated! Our friend Stefan from bands such as Desolator, Ending Quest and Soliloquium made a vocal cover on our song Warzone a while ago.